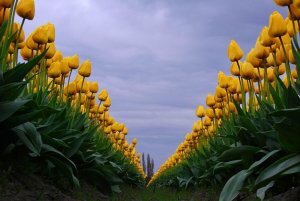 The decades old rich tradition of creativity and art needs no Introduction when it comes to Jammu and Kashmir. 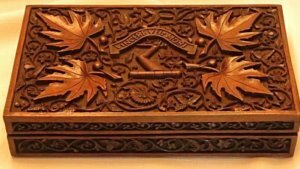 Kashmir's famous handcrafted specialties include silk and wool carpets, papier-mâché products, Pashminas, embroidered shawls, Copperware and Silveware and a variety of stones and walnut wood product .Kashmir is considered to be a treasure trove of arts and crafts. While every region tends to have its own distinct specialty, Kashmiri carpets, shawls, papier-mâché objects and silverware are recognized worldwide for their fine quality and craftsmanship. Handicrafts are unique and some of them, like pashmina shawls, highly prized throughout the world. Another factor that promotes extensive handicrafts apart from culture is the weather and the cold winters may partly be responsible for people staying and working indoors. 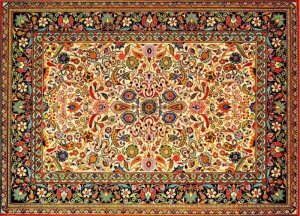 Carpet-making is an arduous, time consuming task and Kashmir carpets, following the Persian styles, are a case in point. Mostly famous as a dry fruit market, Jammu is also worth checking out for silver and golden jewellery of traditional Dogri design, elaborate Kashmiri items or designs worn by the nomadic 'Bakarwals'. The major craft in the Ladakh region is Tibetan Carpets, which are reasonably priced and are very durable compared to Kashmiri or Persian carpets. 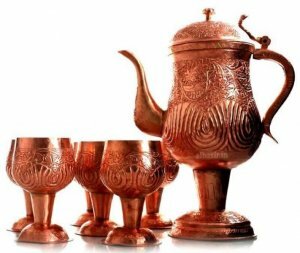 One can also look for Chang and tea-vessels, silver cups and butter churns or the mussel shells, which serve as ornaments.